MOST EXCITING OFFERS!! GRAB IT NOW!! 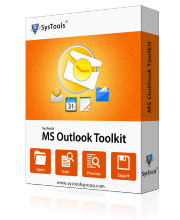 Top 5 Products are Available in this Outlook Management ToolKit for Technical Users. Repairs corrupted PST files and recover deleted emails from files. Convert PST file to PDF, EML, MSG and vCard without MS Outlook installation. Compress large or heavy Outlook PST file size by extracting attachments. Merge PST files including all items: emails, calendars, contacts & notes etc. Find & Analyze Duplicate Outlook Emails Within Multiple .pst Files. Recovers all your corrupted EDB Files and converts EDB to PST files. Repairs corrupted/orphaned OST File and converts offline OST to PST file. Import emails from PST to EDB file. Converts corrupt Exchange EDB files into NSF format. Recovery of SQL server database (MDF & NDF). Recover Corrupt SQL Backup File (.bak) data Tables, Views, Procedures etc. Recover & reset SQL Password of from a user SQL database. Remove encryption from MS SQL database. Recover deleted data from your hard drive. Recover videos, images and documents etc. from pen drive. Recovery of corrupt/damaged, dismounted .vhd file data. Recover virtual machine files data (.vmdk). Repair damaged/orphaned OST file and export to Outlook PST format. Recover & export corrupt DBX files in EML, MSG, PST, RTF & DBX formats. Recovers all your lost data from Microsoft Exchange server database file. Recover and export multiple OLM file emails to EML files. Merge multiple PST file into single healthy PST file. Upgrade Microsoft Outlook PST files from ANSI to UNICODE format. Split large Outlook PST file into multiple PST files. Add multiple PST files in MS Outlook at once. Convert Outlook PST file to PDF/MSG/EML and vCard formats. Remove duplicates emails from multiple Outlook PST files. Analyze duplicate emails from PST files. Repair corrupted MS Access database file and export to healthy MDB file. Recover Corrupt SQL server database files and Export to healthy database. Recover SharePoint .mdf files from corruption issues. Recover and export damaged SQLite database file. Recover Exchange database file from damaged Exchange BKF file. Recover MDF and LDF files stored within SQL Backup File. Convert Exchange backup file to Outlook PST format. Repair damaged .bkf file and recover entire data from the backup file. Recovers corrupted MS Access MDB and ACCDB file. Recover corrupted doc and docx files. Repair inaccessible MS Word File of Docx format. Recover corrupted and damaged Excel file (xls & xlsx). Convert data from ms Access file to Excel format. Upgrade MS Office file from old to new editions. Recover corrupted XLSX file and convert it as healthy file. Repair and recover corrupt OpenOffice ODT files. Convert emails from Exchange EDB file to MBOX format. Export multiple emails from Exchange EDB file to MSG format. Convert emails from EDB file to MSG format. Convert emails, contacts and other items from EDB file to NSF file. Convert emails from EDB file to PDF format. Export OST file emails to NSF file including attachments. 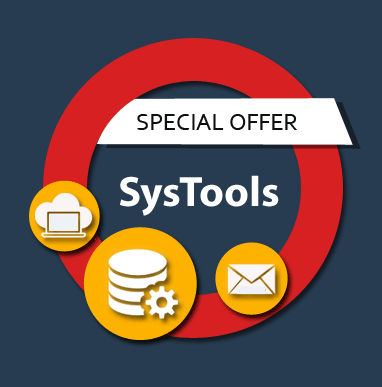 Convert emails from OST file to MBOX format. Export OST file emails to PDF file format. Convert EML files to Outlook PST by maintaining message formatting. Convert multiple EML files to NSF file format. Convert number of MSG files to an Outlook data file (.pst). Add multiple MSG files and convert them to EML formats. Export Outlook Emails to PDF with attachments. Convert Windows Live Mail EML files to Outlook PST format. Convert multiple Exchange Server mailboxes to Outlook PST file. Import Emails, Contacts and Tasks from PST File to EDB file. Convert Outlook emails, contacts, notes and tasks etc to Lotus Notes NSF file. Convert MS Outlook PST file to MBOX format. Easy solution to convert MBOX file Outlook PST format. Unlock restricted PST file for editing, printing and copying etc. Single solution to split and merge multiple PDF files. Generate PDF Bates number on multiple PDF file pages. Convert, Compress & Extract Data from multiple PDF Files. Tool to add Watermark on multiple PDF files. Remove watermarks from portable document files (.pdf). Solution to manage and migrate SharePoint database. Migration of Office 365 accounts. Download office 365 documents to PC in batch. Solution to backup multiple Gmail accounts. Backup Yahoo mailbox in PST, EML, MSG or MBOX formats. Save & Export AOL emails & chats into hard drive. Backup Hotmail account emails to the local machine. Repairs corrupted/orphaned OST File & Export into Personal Stprage Table.